From April 27 to Sept. 2, the Loeb presented the “Master Class” exhibition to celebrate the College’s large body of Northern European art and its connection to Vassar's history and curriculum. Courtesy of Wikipedia. The significance of Northern European art can be felt at institutions of higher learning throughout the world, and Vassar is no exception. From April 27 to Sept. 2, the Frances Lehman Loeb Art Center presented a temporary exhibition titled “Master Class: Northern European Art 1500- 1700 from the Permanent Collection.” “Master Class” primarily displayed paintings and prints from the Loeb’s collection, including works by revered artists such as Albrecht Dürer, Lucas van Leyden and Rembrandt. The exhibition was organized by Curator of Academic Programs Elizabeth Nogrady in honor of former Professor of Art Susan Donahue Kuretsky ’63. Kuretsky shared her extensive knowledge and passion for Northern European art with Vassar students for more than 40 years before her retirement in Spring 2018 (The Frances Lehman Loeb Art Center, “Master Class,” 2018). Kuretsky commented on the noteworthiness of Vassar’s ownership of such works, praising the over 120 original engravings by Dürer and Rembrandt gifted to Vassar by the Warburg family in 1941 and deeming them a treasure for the College. The next gallery, named “New Arrivals and New Purchases,” showcased works obtained be- tween the end of World War II in 1945 and the opening of the Frances Lehman Loeb Art Center in 1993. The postwar era brought an influx of German art scholars to the College, many of whom came to Vassar to avoid the rise of Nazism in their home country (Art at Vassar). This phenomenon occurred across the nation, revolutionizing the field of history—particularly the study of Northern European art—in the United States. Technological advances sparked innovation in the art world as well. Even after the slide projector was introduced in the 1960s, Vassar art historians remained committed to maintaining the use of physical objects in the classroom in lieu of digital alternatives. This dedication engendered new purchases by the Art Center, including Daniel Vosmaer’s “View of a Dutch Village.” The acquisition of the large body of works prompted the need for a new museum building, which is now the Frances Lehman Loeb Art Center (Art at Vassar). The third and final part of the gallery, entitled “Breaking New Ground,” encompasses the works attained by Vassar dating from the establishment of the Loeb through the present day. Since the Loeb’s founding, monumental advances have developed in both the field of Northern European art and American museums. Academics have sought novel ways of presenting and studying art in museums and classrooms. 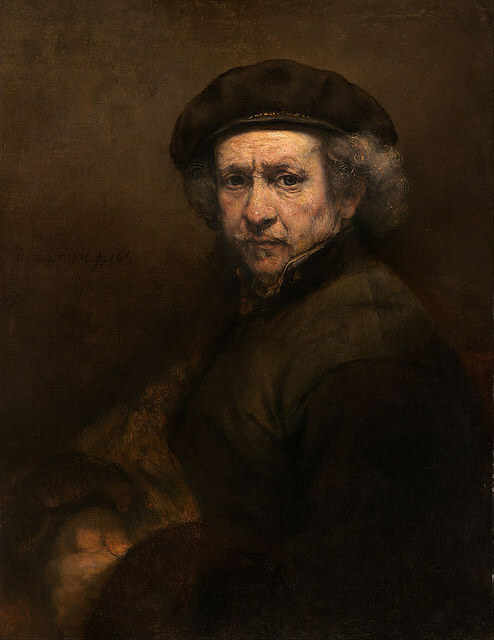 This is evident in the Vassar course “The Golden Age of Rubens, Rembrandt, and Vermeer,” which places artwork in a global historical context (Art at Vassar). The “Master Class” exhibit ultimately prompts visitors not only to contemplate the history and evolution of Northern European art in the United States, but also to admire the merit of original works of art in academia. Although art continues to become increasingly easily reproducible, Vassar’s ability to display an extensive gallery of original works on campus remains invaluable to students.